Co-founder of the Stop Now and Plan (SNAP) program, Dr. Leena Augimeri, recently traveled from Toronto, Canada, to Amelia Island, Fla., to speak at the Florida Network of Youth and Family Services Annual Meeting. Dr. Augimeri co-developed SNAP in 1985 at the Child Development Institute (CDI) in Toronto and has been heavily involved in its growth and success for over 30 years. SNAP is an evidence-based behavioral program which teaches children at risk of entering the criminal justice system to stop and think about their choices so they can make good decisions and manage their emotional responses in a healthy way. Parents of these children also attend SNAP trainings which teach them how to effectively communicate with their child and manage their own emotional responses. The goal of SNAP is to keep children in school and out of trouble. The Florida Network received funding to expand the SNAP program to 11 new sites throughout Florida during the 2018 legislative session, allowing them to further their mission of fostering healthy parent-child relationships, reuniting families and minimizing juvenile delinquency. With the expansion, SNAP is available at 21 sites, serving all judicial circuits in the state of Florida. 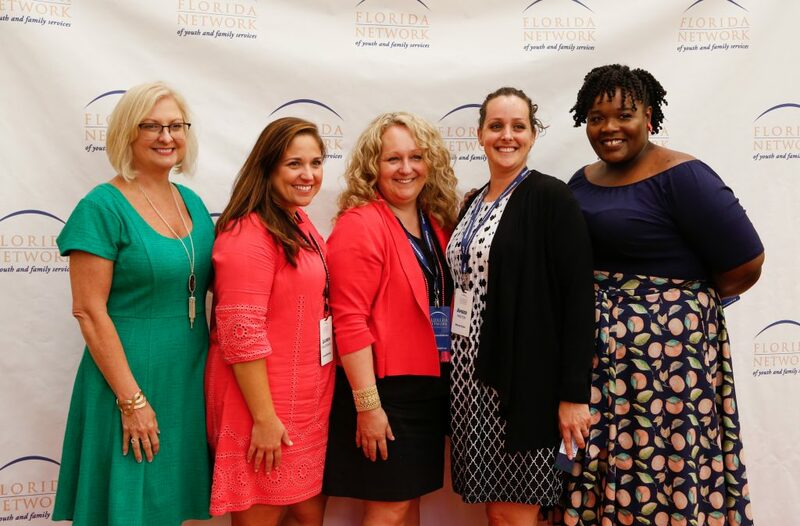 The Network’s Annual Meeting, held May 30 – June 1, is a time for youth care workers from all over the state to come together to share knowledge and experience in the youth and family services field and collaborate to discover how best to serve Florida’s communities. Dr. Augimeri’s guest appearance provided attendees with invaluable insight into SNAP program implementation and youth and family care strategies.